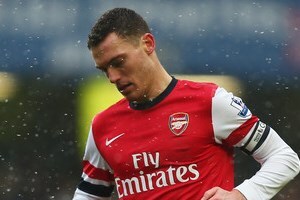 Reports are out claiming that Arsenal defender Thomas Vermaelen is edging closer to a return to full fitness. The Belgium international centre back aggravated a back problem in the summer and missed the start of the season. However it is said that the club captain could be available to face West Brom in the Capital One Cup clash at The Hawthorns later this month. He said: “The West Brom game is a few weeks away yet and hopefully I will be closer to a return.